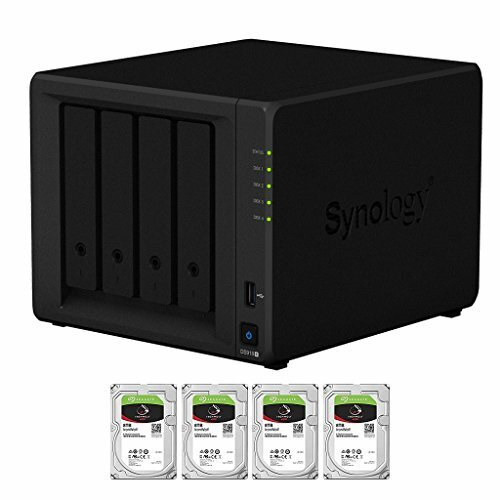 Synology DiskStation DS918+ is a 4-bay NAS designed for small and medium-sized businesses and IT enthusiasts. Powered by a new Intel Celeron quad-core processor, DS918+ provides outstanding performance and data encryption acceleration along with real-time transcoding of 4K Ultra HD source contents. Synology DS918+ is backed by Synology's 3-year limited warranty. evodo's All-Systems-Go ensures a ready to use and tested device right out of the box. No waiting for RAID arrays to be built. If you have any questions about this product by evodo, contact us by completing and submitting the form below. If you are looking for a specif part number, please include it with your message.